This post is in collaboration with Skin Appeal located in Tucson, Arizona. Hyaluronic Acid (also known as HA) is a naturally occurring substance that is found in your skin. Not necessarily in this area under your eyes, but it is natural to the skin itself. It keep skin plump and hydrated for long periods of time. My hyaluronic acid filler will last two years, which is long and makes the long-term upkeep so much easier when the treatment doesn't have to be done frequently. Juvederm, Restylane, Restylane Defyne, Restylane Lyft, Restylane Refyne, Restylane Silk, Voluma, Volbella and Vollure are all dermal fillers made of hyaluronic acid. As I mentioned up above, hyaluronic acid is found naturally in most every cell in the body with the highest concentrations in the skin, eyes, joints, tendons and ligaments. Dermal fillers will vary in molecule size and cross-linking, making each product ideal for certain treatments. Restylane, Restylane Lyft and Juvederm are typically used for correction around the mouth and under eyes. Volbella is great for fine lines. Voluma gives an instant lift with cheek definition. This is where Christy, the expert at the Skin Appeal offices, will ensure the right filler is placed in the right spot on the face. The other thing that's unique about hyaluronic acid is that there's no need for allergy testing prior to treatment, because it already exists naturally in your skin. My eyes were watering in these photos, simply because the needle was pinching my skin. It's not painful, but it's not my favorite thing to have a needle anywhere near my body, let alone my face. I have to say that for someone who hates needles, I took this treatment like a champ. Anything to make me look younger, right!? I also have a feeling someone is going to comment on my nose, so if that's you, keep it moving buddy. The biggest difference I could see immediately after getting filler in just one under eye area, is that the under eye lines and the darkness disappear immediately. The darkness under the eyes is caused by eyes that are sunken in, so if you add some filler, you immediately lose that darkness. When you smile, your under eye area is simply more full and even, making you look more youthful overall. This is very important to most of us, and I think that filler is a good way to remove that aging from the skin. I will be the first to admit to you that I was not a fan of injections, filler, or anything of the sort. My whole life I feared needles and putting anything into my skin. Anyone else out there feeling the same way right now? Knowing that hyaluronic acid is natural to the body made it so much easier to commit to this treatment, and see what the results could potentially be. So far, so good. After the hyaluronic acid filler, we went into a second room to complete a full BBL treatment. BBL™ is a broadband light technology that utilizes the power of pulsed light to deliver excellent results in photorejuvenation therapy. By selecting the appropriate wavelengther, you are able to to treat a broad range of skin conditions which were initially caused by either skin aging or sun exposure. In addition, BBL helps to counteract any bruising post filler. Since the area under the eyes is super sensitive, you want to be extra cautious and careful not to harm it. This is why we did BBL right after, and it really helped to minimize the bruising under my eyes. That bruising was so minimal, and didn't really hinder the days after the treatment. Bruising is minimal the younger you are, and may get more drawn out over time. In addition, that sensitive skin under your eyes gets thinner with age which would attribute to more bruising down the road. I do think being proactive with this area is so important. Not to mention that many people use eye creams and products that are not meant for under the skin problems. Dark circles, aging and other under eye issues are not going to be solved by a cream. They are more than likely solved by filler. 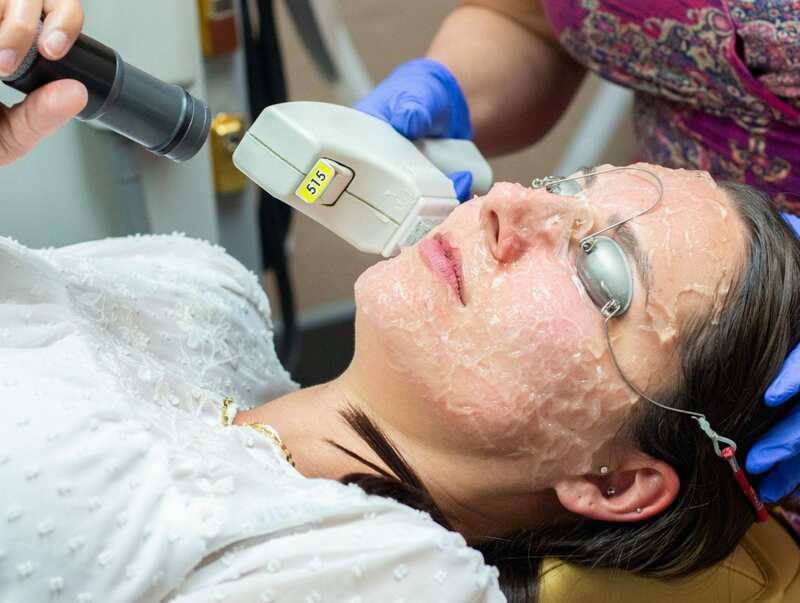 If you go to Skin Appeal here in Tucson, you will get a completely free consultation that will determine your sun damage, bruising and other skin damage. BBL is great to be proactive about bruising, but it rebalances sun damage too. Before the treatment, I had two sun spots (one under each eye) and after the treatment they are both completely gone. That is a total win! Also my skin looks healthier, and is more healthy. Have you considered hyaluronic acid filler or a BBL treatment in the past? If you have questions, make sure to leave them below. I'd love to answer them and explore the options with you.